The product has a plastic boot which is highly elastic and can absorb vibration. 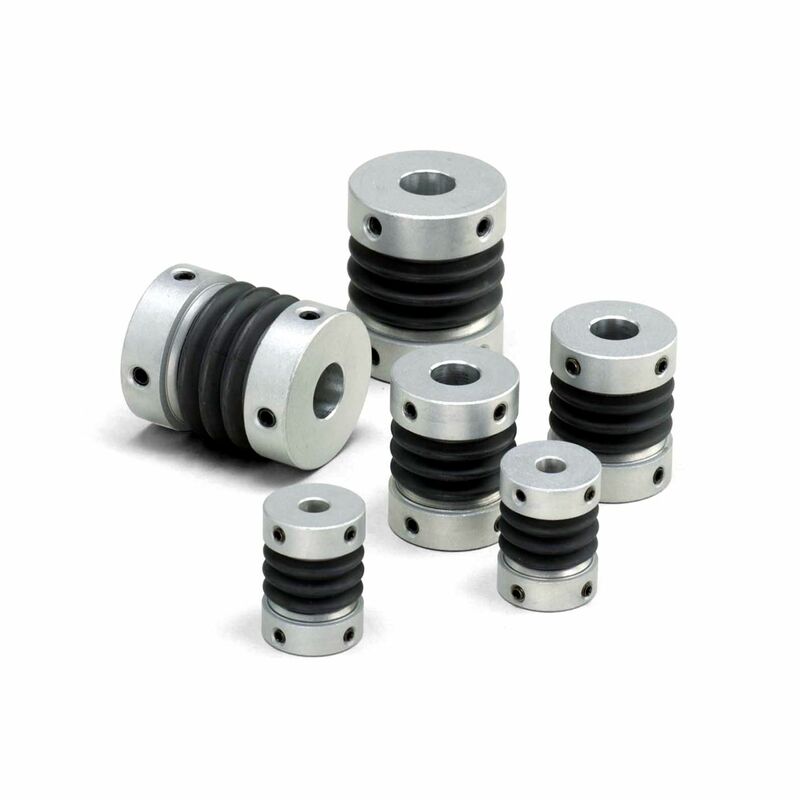 The shaft reaction due to any mounting misalignment is therefore very small. Its lightweight and compact design has an aluminum alloy hub and boot incorporated in it. It becomes easy to dismount and mount due to the integral construction. There is also no scope of backlash. It is available in three sizes with maximum parallel offset 0.5mm and maximum angular misalignment 10 deg.